HDL products and solutions have made their way into an incredibly wide variety of building projects around the Globe. The modular nature of the products allows designers to create solutions that meet the most demanding specifications and requirements. 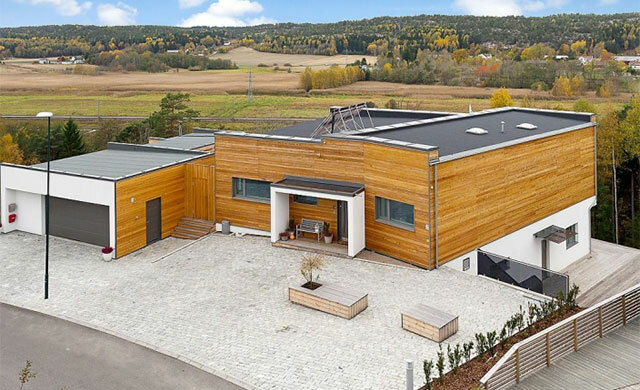 Scandinavia is famous for some outstanding architecture, and this villa is no exception. The homeowners wanted to create something truly special, using traditional wooden panelling, and with a fantastic view over nature. The entire property was wired for HDL from the outset, so that the owners could take full advantage of smart control for many years to come. The end result is a stunning property, both in design, aesthetics, and the energy saving, comfort, convenience and energy saving benefits from the HDL system. Taking three years to build, Caroline and Martin have created this incredible textured and aluminium accented Smart Home. It is called “On The Eleventh”, named after the fairway it overlooks. They love gadgets, sport, entertaining, and most importantly their family. HDL technology was used to control every “smart” element in the home including lighting, air-conditioning, home-cinema, music and more. It was featured on the TV show “Top Billing”, and a video can be viewed here. The HDL system is modular so it could be built around their requirements. Martin said that he was dubious about how technical it would be to operate, but went on to say “it’s very simple and it’s something we really enjoy and as well as that it’s quite cool”. Lugano is a lakeside city in Ticino, the Italian-speaking part of southern Switzerland. Situated near the Alps, this property is not only in a beautiful location, but it is also a fully integrated HDL smart home. The villa benefits from lighting controls, under floor heating, motion sensors, curtains and blinds, and of course is connected to all audio appliances to ensure music can be played throughout. The forward-thinking property developer for this project has now created something that would be more attractive to buyers who are looking for something extra special. For many buyers of properties in this area, the view is not enough, the property must offer the latest conveniences too. That’s why HDL was a good choice for this project. 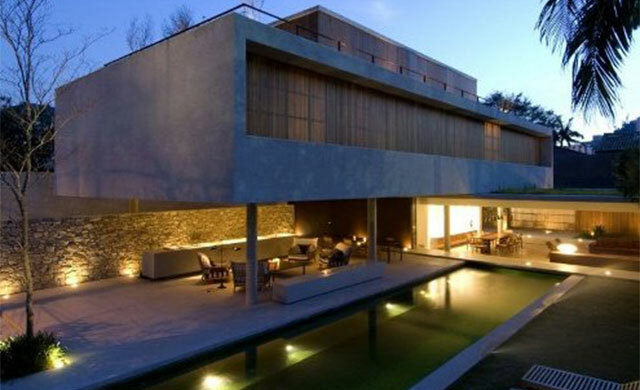 This stunning large property located in the South of Sao Paulo, Brazil is fully automated and fitted with HDL technology throughout. There is colour changing LED lighting both on the inside and the outside of the property. Along with ventilation, air-conditioning and smart switches throughout, this is a fantastic example of a true smart-home. Wireless technology is also installed making it convenient to set a scene remotely and to enter a warming, colourful & musical home if desired. 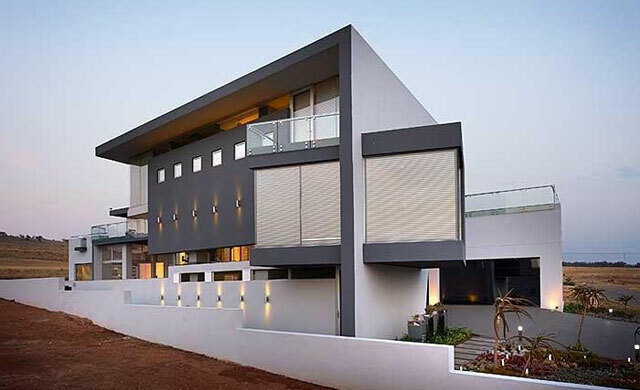 The Israel arm of HDL provided the technology for this impressive villa. Due to the scale of the building, the occupants wanted to ensure that the systems (e.g. the lighting, HVAC and security) could be controlled easily and conveniently, while also being able to be controlled remotely. The end result is a modern, smart and energy saving property that will benefit from the technical features for years to come. 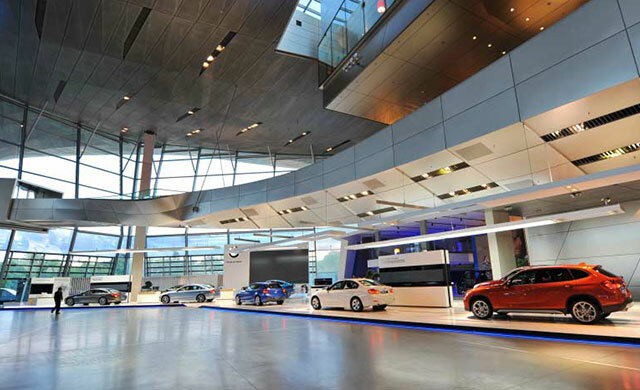 Designed by architects Coop Himmelb(l)au for BMW Group, BMW Welt (World) in Munich was constructed at a cost of US$200 million. It opened on October 17, 2007, and there were 2,200,000 visitors during the first 12 months of operation. The number of visitors increased to 2,930,000 in 2013. HDL Bus Pro lighting modules satisfied the high demands for world-class lighting control. 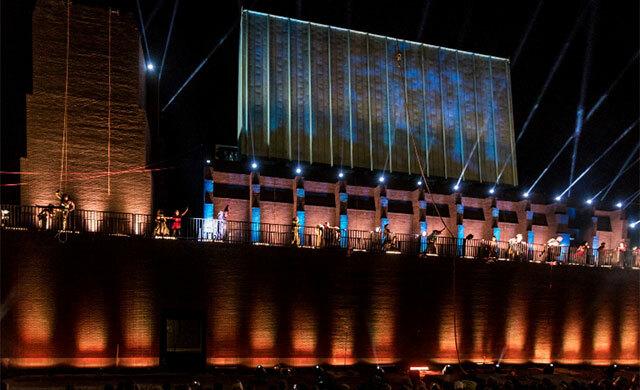 “The building does not have the boredom of a hall, it is not only a temple, but also a market place and a communication center and meeting place for knowledge transfer”, said architect Prix at the opening ceremony. 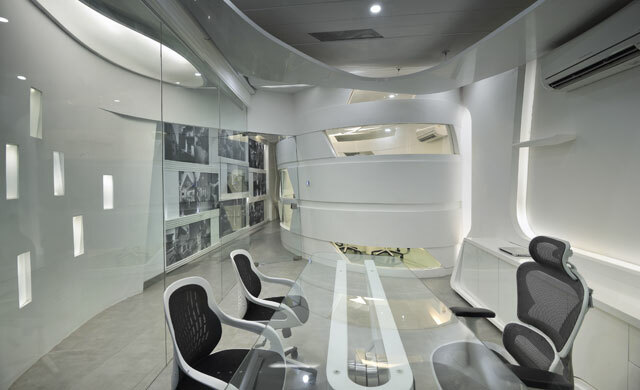 This stunning modern office in Delhi was nominated for “World’s Best Office Design” from a prominent Indian architectural publication. Thinking ahead, they contacted HDL India for the supply and install of the systems in the office. Using HDL Bus Pro, the users in the office can control all of the systems using the smart-switch panel on the wall, a smart-phone or smart-tablet. HDL is a perfect solution for office environments, including board-room control. 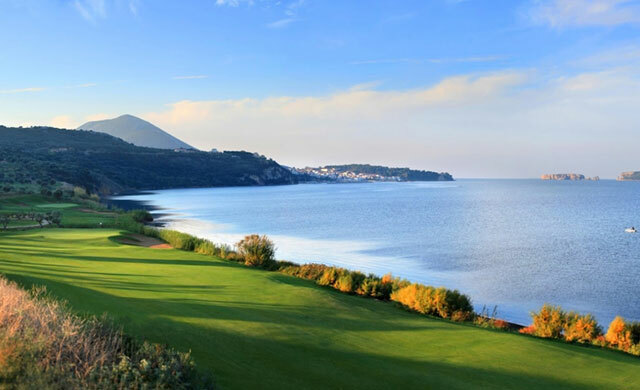 Not limited to offices and commercial spaces, HDL technology has been used at this prestigious golf villa project in Greece. The clubhouse required a system capable of dimming the lighting through, using 0-10v control and motion sensors. This was important as the club had problems with energy usage, related to leaving lights on. With the HDL system, lighting switches on and off at programmed times, and the motion sensors automatically dim or switch off the lights when nobody is there. Whether your project is a golf-club, a restaurant, a spa or a home, get in touch and let us see how we can help. 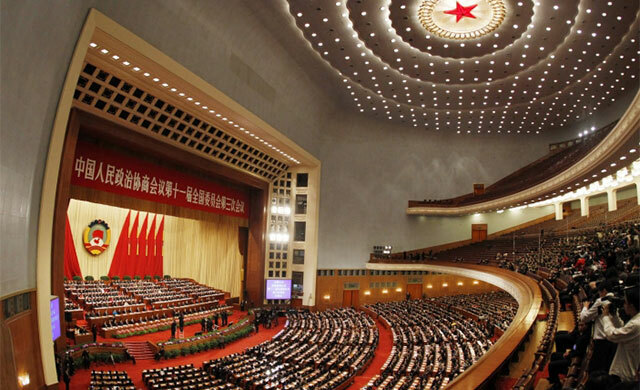 The Great Hall of the People is the political hub of Beijing and was designed by Zhang Bo. The building covers 171,800 square metres and can simultaneously seat 10,000 representatives. Its facilities are equipped with audio-visual and other systems throughout. HDL provided control for over 26,000 lights, in preparation for “The 18th National Congress” which hosted 2270 delegates selected from 40 constituencies. It is the largest indoor lighting control system in China. The features include providing complete dimming and scene settings in the central hall and stage. 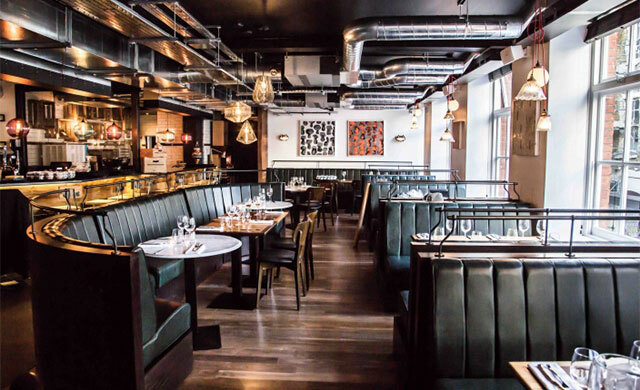 Situated in Regent Street’s Food Quarter, Heddon Street Kitchen is Gordon Ramsay’s restaurant in Mayfair. This slick restaurant is housed over two floors and is fitted with a truly stunning lighting system. The client wanted to be able to control scenes throughout at the touch of a button, and also be able to test the emergency lighting on a weekly basis. HDL UK provided all the lighting dimmers and control switches throughout, working closely with the installer and the client to ensure of the best possible results. The scenes were carefully fine tuned to compliment the natural light and atmospheres. Even the kitchen lights can be dimmed, in case of filming live TV shows. See the promotional video here. 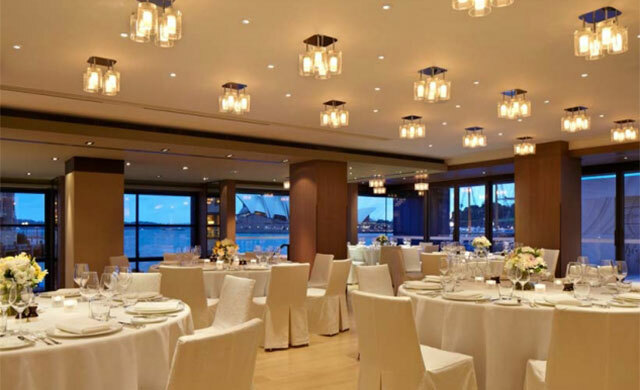 Seated on one of the world’s most beautiful harbours, Park Hyatt Sydney sits between Sydney Opera House and Harbour Bridge. 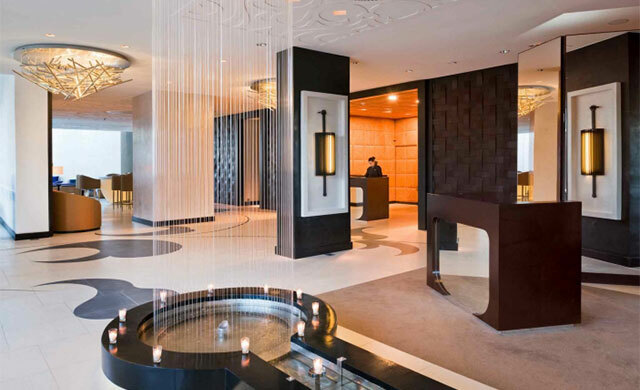 There are 155 spacious guest rooms and suites with contemporary interiors and floor-to-ceiling glass doors that open to private balconies, and a day spa with rooftop pool and sundeck. 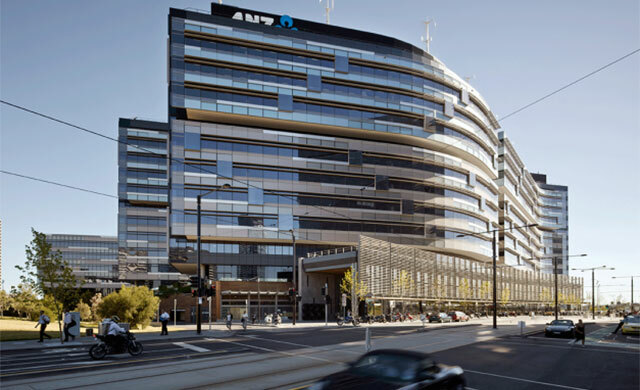 HDL Australia was commissioned to supply and integrate designer switches and room-control systems, to ensure the hotel would be able to use energy efficiently as well as provide a contemporary technology to their guests in the form of lighting control using elegant switches. 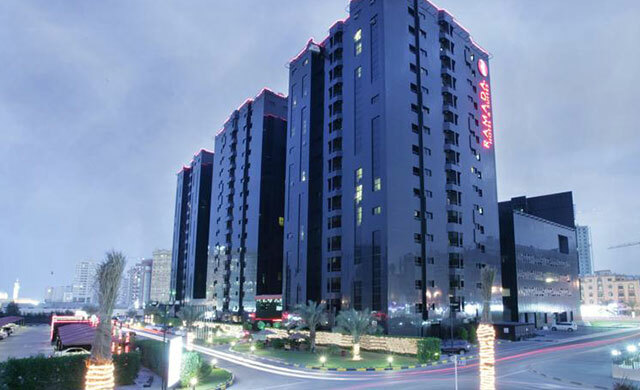 Ramada Hotel in Ajman is conveniently located outside Dubai, UAE. HDL was selected for this hotel for its quality & cost effectiveness, and is fully installed in the stunning ball room and surrounding areas, to encourage space and light, bringing out the maximum beauty in this gorgeous project. Lighting dimmers and control modules allow for any lighting level and scenario to be set at the touch of a button meaning that functions and events run smoothly. The system is easy to use by anyone, due to the simple switches to control the space. This 5-star hotel in Casablanca looks out over the rooftops of Morocco’s business capital. The Sofitel Casablanca Tour Blanche hotel is located opposite the Hassan II Mosque and close to the medina, making it ideal for business trips or exploring the city. After admiring the gleaming exterior of the hotel, step into a world where modern French elegance and exotic Moroccan touches combine in pure harmony. The 141 rooms and 30 suites, are all fully fitted with HDL technology, providing both hard and software to create an energy saving, cost effective modern way of using lights, air conditioning and curtain controls. 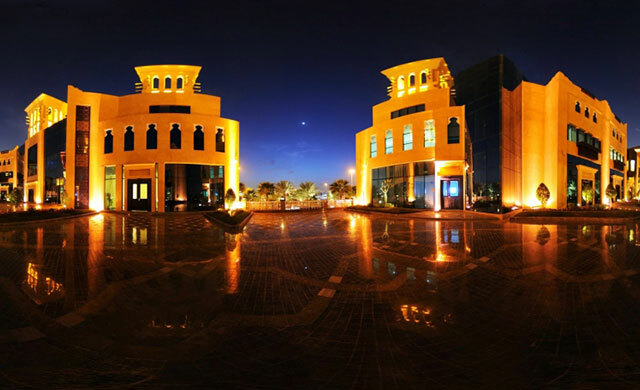 This boutique hotel situated in Saudi Arabia was built to provide a modern and comfortable stay for business guests. The specification for the hotel called for a hotel room management system, allowing systems such as lighting, curtains and air-conditioning to be centrally controlled, as well as a key-card system. The HDL hotel system was utilised and the hotel managers have expressed their satisfaction with the system. 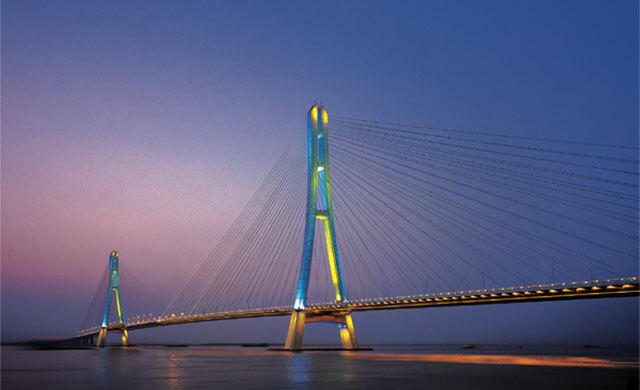 The 3rd Nanjing Yangtze River Bridge (which carries the G42 and G2501 Expressways) is a cable-stayed bridge of 15.6km in total length, and the bridge section crossing over river is 4.7km. Constructed in just over two years at a cost of $490m, at the time of completion (2005) it was the third longest cable stayed span in the world and as of 2015 it still ranks among the top 20. At nighttime, the bridge benefits from HDL architectural LED lighting control, allowing the A-shape pylons to be illuminated in dazzling colours. This was a sizeable lighting control project benefiting from almost 100 HDL DMX products along with monitoring software. The Gdańsk Shakespeare Theatre is a Shakespearean theatre in Gdańsk, Poland, and is built on the site of a 17th-century theatre known as the Fencing School. The new theatre was constructed by Jerzy Limon, a founder of the Gdańsk Shakespeare Festival, and the architect was Renato Rizzi. The new theatre combines elements from the design of these earlier theatres with modern technology and It opened in September 2014. The project benefits from 232 lighting circuits, and a major request was to free the beautiful wooden-panelled wall from light switches. Therefore, complete and flexible control of the lights is made possible from a single user-interface in the control room. This office building in Wellington, New Zealand, comprises of four multi storey commercial buildings of five and six stories, variously detached and interconnected and arranged around a central concourse. Originally constructed in 1988, the building underwent a vast upgrade in 2012-2013 by The Wellington Company and was fitted with HDL Bus Pro control system. The list of equipment includes 5 separate HDL subnets – connected by Ethernet, several hundred switches, relay outputs, DALI controllers, ceiling sensors and also integration with building-control management software. 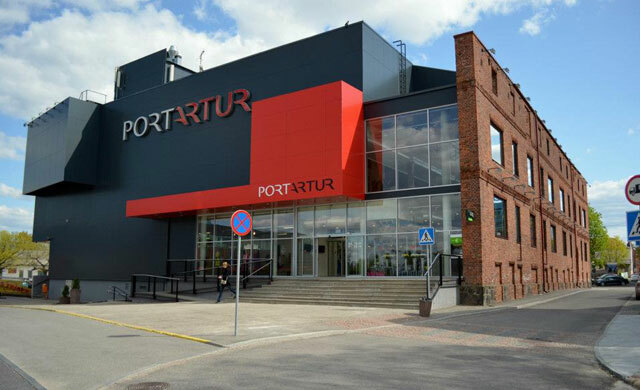 The Port Artur shopping centre in Estonia recently underwent a radical reconstruction, incorporating original brick features with modern design. The building now benefits from HDL lighting control, to automate the lighting based on occupancy and time of day, in order to maximise energy savings and simplify the control. Staffing requirements are reduced, as security can simply operates the lighting in the entire building from a central point. Motion sensors can activate lighting in specific areas in case a person happens to be working overtime. Because the system is smart, it can be integrated with other systems such as heating, cooling and ventilation and operated in a seamless manner. 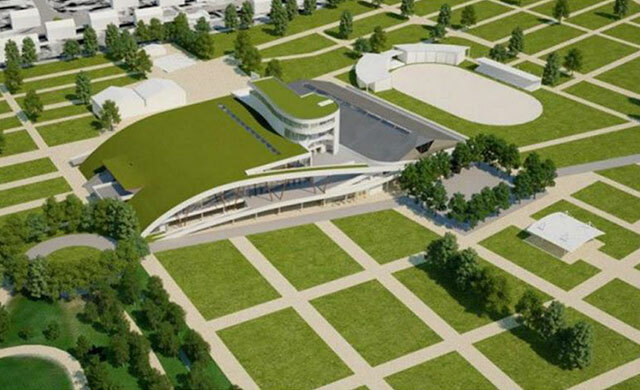 Situated in the midst of superbly landscaped park covering 60 green hectares and located in the rural heart of the Belgian Ardennes, Walexpo is an innovative new development which serves as both an exhibition complex and a business a centre, With 25,000m² of exhibition space, it is built according to environmentally-friendly criteria. Keeping up with the contemporary design, the lighting and various other environmental systems are controlled using HDL products, allowing for the smart-use of energy throughout the building. The result is a stunning sight, both from above and on the inside.